Dr. Jonahan Rand Healthy Aging Medical Centers in New Jersey is knowledgeable and informed when it comes to helping men overcome the health issues that can accompany hormonal imbalances. His Healthy Aging Male Program takes a concierge medical approach and offers comprehensive consultations to men that may be suffering from hormonal imbalances. During the initial consultation, Dr. Rand will review the patients’ full medical history and perform a physical exam, which includes a detailed body composition test, pulmonary function test, blood pressure, and waist to hip ratio measurement. During the consultation, Dr. Rand will listen to the patient’s health goals and review all blood work and labs. Dr. Rand’s New Jersey comprehensive Healthy Aging Male Program can help patients reduce the chances of developing issues with insulin production by helping them maintain healthy nutritional habits, exercise regimens, and balanced hormones. Dr. Rand uses his personal knowledge and experience with healthy diet, supplement programs, and a weight training and cardio regimen including yoga and martial arts to tailor a hormonal imbalance program personal to each patient. Insulin is one of the most important hormones in the body, and it is an especially important hormone in aging men. This hormone is secreted in the pancreas, and it works to help balance and regulate blood sugar. Without regulated levels of insulin, a person’s blood sugar levels could soar high enough to induce a coma or death, or it drop so low it would cause fainting, a coma, and eventually death. As aging occurs, the body may have issues regulating insulin, and this may be due to the fact that the pancreas gets worn down with age and cannot produce optimal levels of insulin. Another factor that can lead to insulin imbalances is a diet high in sugar, carbohydrates, and fat and low in vegetables and fiber. Men that do not exercise also have a higher risk of developing issues with producing insulin, and this is because exercise is a natural blood sugar regulator. Men that do not eat healthy diets and exercise as they age, have a high risk of developing insulin resistance. When men are in the 20’s and 30’s, they may find that they can eat whatever they want without reaping consequences. However, as the body gets older, metabolic processes begin to slow down, and the body is no longer as effective at processing unhealthy foods. Over time, the body’s ability to produce insulin may be adversely affected. When a man eats a high quantity of sweet foods of carbohydrates for a long period of time, the pancreas is forced to constantly pump out high levels of insulin, and over time, the body adapts to insulin being in the bloodstream. This adaption process is a natural occurrence in the body, and it allows the body to survive. However, when this happens with insulin, the body stops recognizing that it is there, and it becomes inactive. When insulin is no longer recognized in the body, it brings about the condition known as insulin resistance, which can lead to Type II Diabetes. Excluding high amounts of sugar or processed carbohydrates from the diet can help men to reverse the process of insulin resistance and Type II diabetes. However, for men that are unable to reverse this problem with diet and exercise alone and cannot produce healthy levels of insulin, bioidentical hormone replacement therapy may be able to help replenish insulin levels. Insulin resistance is also one of the main factors in metabolic syndrome. Insulin is especially important in aging men because it helps to keep metabolic functions running smoothly. Metabolic syndrome has become a more common health problem in aging men, and in order to qualify as having metabolic syndrome, men must have four out of five of the criteria for metabolic syndrome, which includes high triglycerides, elevated cholesterol, hypertension, increased belly fat, and insulin resistance. This syndrome raises the risk for strokes, diabetes, and heart disease. Helping to reduce insulin resistance and balancing hormones can help men to reduce the risks of age related diseases and the symptoms of metabolic syndrome. Dr. Rand and Healthy Aging Medical Centers in New Jersey can help patients to regain optimal levels of health and wellness levels by helping them to keep balanced levels of insulin. 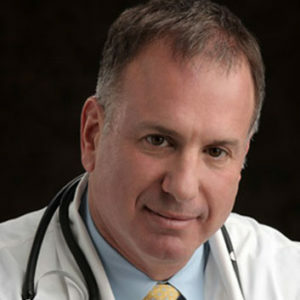 Dr. Rand’s comprehensive Healthy Aging Programs are centered on Hormone Optimization and specialized nutritional plans. The program may also include detoxification therapies, IV vitamin therapies, stress reduction, exercise regimens, and detailed lab testing. Men that participate in the Healthy Aging Male Programs can have full access to Dr. Rand through phone calls, emails, and text messages, and they can also have access to unlimited amounts of follow up visits. Dr. Rand work to help men regain balance and experience the benefits of being healthy, and he can provide them protocols that can prevent Type II Diabetes. Dr. Rand enjoys being healthy and having the energy he needs to accomplish all of his goals. He also has a passion to help his patients experience the same type of health in their own lives. To learn more about preventing Type II Diabetes and balancing insulin levels, men can contact Healthy Aging Medical Centers in New Jersey at 973.435.0433 to learn more.